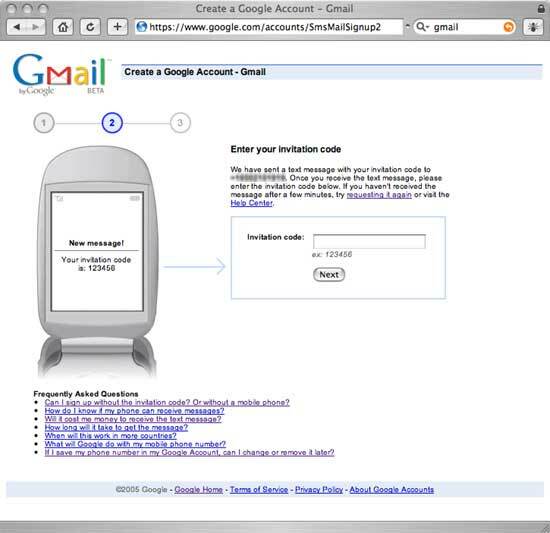 Last year, Google announced that it was launching a preview release of Gmail, its supercharged seach-based webmail product with 1 Gig of free storage. This, in turn, probably lead Yahoo to unveil its “New and Improved” Yahoo! Mail service with increased storage space shortly thereafter. 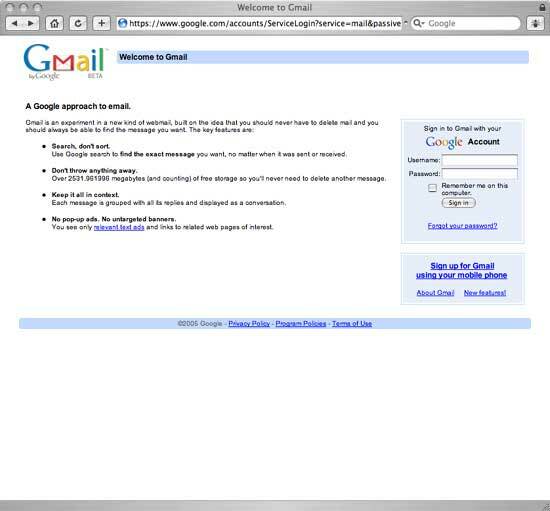 Initially, Gmail was only open to a select group of users. 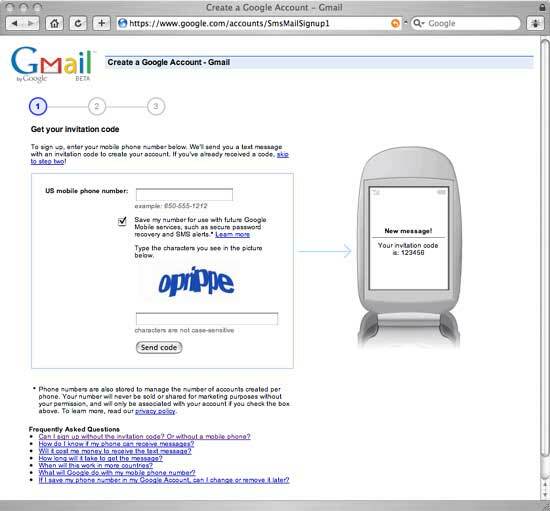 However, Google recently opened up Gmail accounts to US mobile phone users. If you don’t have a mobile phone, you can still open a Gmail account the old-fashioned way — find a friend who has a Gmail account and request an invitation. From the Gmail Home Page, you will find a Sign up for Gmail using your mobile phone link. Clicking on that link takes you to a sign-up page where you have to enter your mobile phone number as well as the computer-generated characters displayed on that page. Once you’ve received your invitation code, enter it in the next screen. Since its preview launch, Gmail has increased its storage limitation to 2.5 GB. By comparison, a free Yahoo! Mail account has a 1 GB limit and a free Hotmail account has a 250 MB limit.